The term “open science” means different things to different people. For some it means open access to publications and peer review. For others, it’s all about reproducibility through the sharing of research data and code. Still others view open science as synonymous with citizen science. During this webinar we will explain how Mozilla’s definition of open science has evolved over time. As a result, our programs have grown and fostered an open community that has outgrown the original Mozilla science team, includes partnerships outside Mozilla, and has now expanded beyond just science. Due to the best practices inherent in working open, the work is being sustained beyond our original resources and investments into a movement with a global reach. Stephanie Wright leads the Mozilla Science program on the Open Leadership & Engagement team of the Mozilla Foundation, funded by the Sloan Foundation, the Helmsley Charitable Trust, and the Siegel Family Endowment. Her team at Mozilla focuses on hosting events such as Working Open Workshops, the annual Global Sprint and Mozfest events, Open Leadership Trainings, developing educational resources such as the Open Data Training Program, and building a community of leaders through Mozilla Fellowships and other activities. 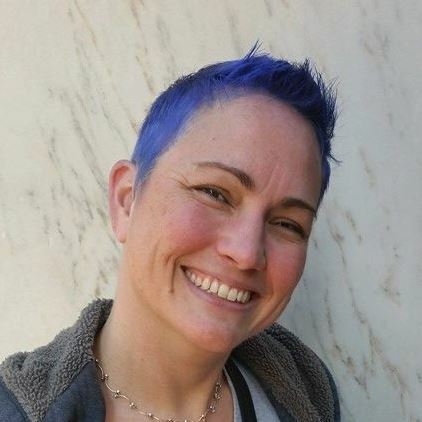 Prior to Mozilla, Stephanie worked for the University of Washington where she developed and led the Libraries Research Data Services Unit, served as a Senior Data Science Fellow at the UW’s eSciences Institute, and co-authored the Librarian Outreach Kit as part of the Community Engagement & Outreach Working Group for DataONE.